We take our inspiration from Janus, the Roman god of beginnings, transitions, and time, after whom January is named. A sculpture of Janus appears at the top of this blog, from the Vatican Museum. 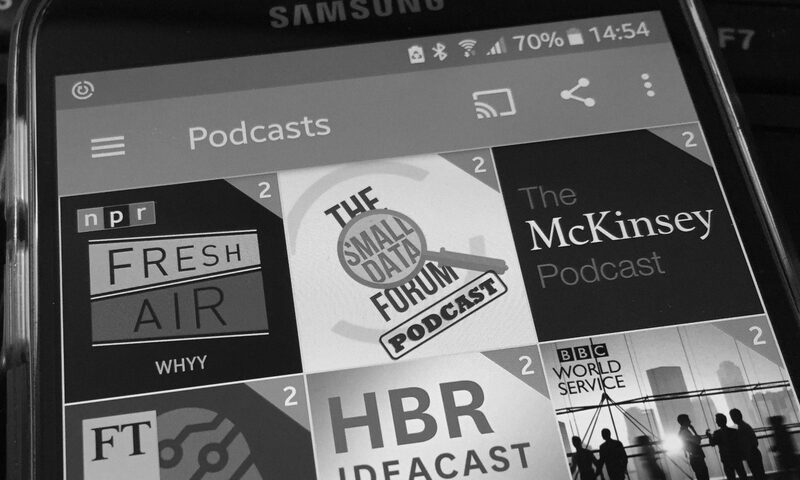 In our latest pod, we’re all making our predictions for what we expect to see happen in 2018, notably in how we believe organisations will make better use of data and analytics to thrive and grow. Along with the tinsel, we thought it was time for us to get out our data-driven crystal balls and tea leaves. During the lifetime of the Small Data Forum, there have been seismic changes in the geopolitical landscape, driven by political parties’ and their leaders’ smarter use of data. How different the world might be today had Remain, Clinton, Le Pen, May, and Merkel beefed up their analytics teams and consultants in the way that Farage, Trump, Macron, Corbyn, and the AfD plainly did. Often working with the same, small group of businesses and consultants. While we’ve been “on air”, politics has woken up to the power that comes from understanding what voters think, feel, and intend to do – and all through little big data analytics. It’s also learned how to harness the potential of clustering and microtargeting, using the right messaging derived from nudge theory and behavioural economics. At the same time, malign interference in the political process has become increasingly apparent, thanks to the confirmed spread of fake content on Facebook, Twitter, and Google-owned YouTube – the vectors of memetic transmission – from Russian and Macedonian bot farms. This phenomenon has Neville wondering whether we are all just “mice in a wheel”. Quite so, Slartiblartfast. So, to our predictions for the new year. And, Manchester City will win the Premiership. That last one through the gritted teeth of an Arsenal supporter. One of the major disruptive, data-driven businesses of the new economy will fall foul of GDPR during its first year of operation. Given the hack on its customer data earlier this year, I’m backing Uber to be the first to clock a €20m fine from the EU. YouTube will have a pretty parlous year, financially, as advertisers lose patience with ad misplacement and permanently withdraw from a marketplace they consider to be too poorly managed and unregulated. And, Theresa May will not celebrating New Year’s Eve 2018/19 at either Chequers or Number 10 Downing Street, unless she’s the guest of the new Prime Minister. Unlikely, as the new incumbent will be Corbyn or – at an outside punt – Leadsom or Govey. 2017 has made compelling viewing and listening for those interested in how the ever-more sophisticated reading of the digital runes is affording competitive advantage. To those who’ve been with us on the ride on the Small Data Forum, thanks for your support. And for those about to stumble across our offering to the world and become part of the community, we can’t wait to welcome you on board.